The Thinnest Digital Media for the Softest Look and Feel! ColorPrint Translucent is a clear print and cut material ideal for white or light colored fabrics. Use your eco-solvent or solvent inks to print bold graphics that are soft to the touch. Thin and lightweight, this is the closest look and feel to screen printing among digital transfer materials. Additionally, ColorPrint Translucent is simple to use because, unlike most print and cut materials, it doesn’t require a mask! So you simply print in reverse/mirror, cut, weed, and heat apply. Simplicity and a soft hand in one printable material! 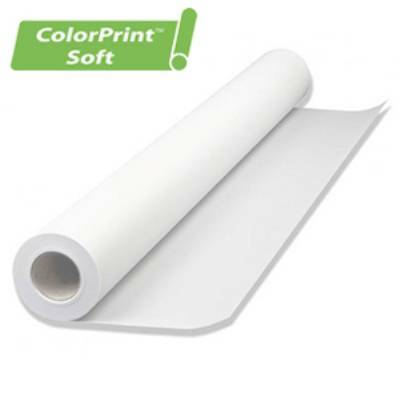 Please note that due to ColorPrint Translucent's thin, mostly clear makeup the color of the garment will influence the colors you use in your graphic. ColorPrint Translucent is CPSIA Certified so you can decorate kids garments with confidence.